Christchurch Borough Council: Pure Town Planning are pleased to announce that we have just secured planning permission for the extension and alteration of an existing garden centre, the erection of two outbuildings and the change of use of the site to a mixed use comprising of a retail unit with an ancillary café and separate classroom facility. 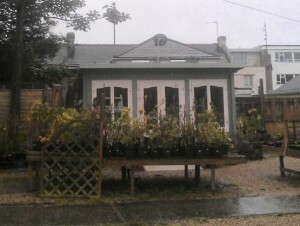 The existing garden centre, which is situated on the Lymington Road, Highcliffe, was recently acquired by the Stable Family Home Trust (SFHT) who are a registered charity that provide a range of services to support people with learning disabilities to lead fulfilled and active lives. They support people to be valued members within their local community, ensuring that they have opportunities for a good social life, support to make and maintain friendships and relationships and help to find meaningful occupation, learning and employment. As part of their role in supporting people to gain employment, either voluntary or paid, the SFHT provide training, support and advice and to date have successfully helped people find all sorts of work. The proposed development, which was designed by Design and Development Associates, consisted of key three elements; 1) the extension and alteration of the existing garden centre building to provide staff and customer toilets, including provision for disabled users, a storage area for stock and goods, relocated office, small ancillary café area, counter display area and staff room; 2) retrospective consent for the erection of a replacement potting shed and; 3) the erection of a classroom facility and the introduction of D1 use (non-residential institutions such as schools and education/training centres) to allow the SFHT to train and mentor members of the charity and the local community in horticultural, retail and general employment skills. As part of the application we prepared a comprehensive supporting design, access and planning statement which concluded that the proposed use would be more advantageous to the local area as it would retain the existing retail offer of the premises, whilst introducing a new community use to the locality therefore adding to the variety of services currently offered in the area and making a positive contribution to the continued vitality of Highcliffe. 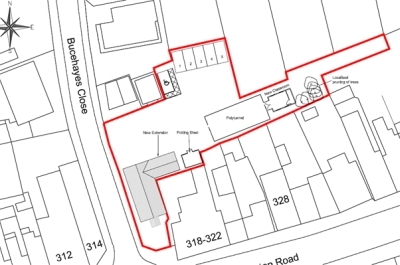 The Christchurch Borough Council planning officer agreed with our supporting statement and concluded in his report that “the proposal would retain and enhance an existing community facility in a sustainable location within Highcliffe District Centre. [Furthermore,] the development would not have any significant visual impact on the locality and would not significantly impact on neighbouring residents.” The application was recommended for approval and permission was duly granted by the Council. At Pure Town Planning we love to give back to the local community so if you’re a local charity and in need of some planning advice, or perhaps you’re taking part in a fundraising event for a worthy cause and are collecting sponsorships, feel free to get in touch with us – call us on 01202 585524 or email info@puretownplanning.co.uk or even pop in and see us for a coffee to find out how we may be able to help.